Published: March 21, 2015 at 06:46 p.m. Updated: March 23, 2015 at 10:21 a.m.
Popular thinking has Jameis Winston going to the Tampa Bay Buccaneers with the first overall pick in the 2015 NFL Draft. Bucs coach Lovie Smith said Saturday from the NFL Annual Meeting in Arizona that he understands why people believe Winston or Marcus Mariota would be the choice, but adds there are plenty of other options for the franchise to mull over. 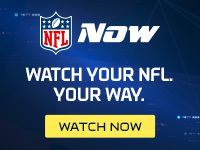 "I just know I can see why people would assume that we are going to take a quarterback," Smith told NFL Media's Steve Wyche in an interview that will air on NFL Network on Monday. "There are two excellent quarterbacks that are available at the top. And when you get a chance to draft someone like that most of the time people do. But there are other good players in the draft also. I think it's a deep draft." The Bucs released last year's opening day starter, Josh McCown, leaving third-year passer Mike Glennon as the team's best in-house option. There has been speculation that Glennon could be moved if the right deal comes along. Glennon's name could come up often over the course of the draft. "We have a good quarterback we feel like, Mike Glennon, on our roster right now," he said. "We realize that there are two excellent quarterbacks out there. We're kind of going through the process right now. We're trying to improve our ball club." Consider it a major upset if Winston isn't the first name called in Chicago on the last day of April. The Bucs have lost 26 of 32 games the past two seasons and desperately need to reboot the machine. Taking Winston gives them their best shot at a franchise rebound.